Urban Design School is an academic and social program aimed at reconsidering cities and the built envirionment through education, research and service to local communities. 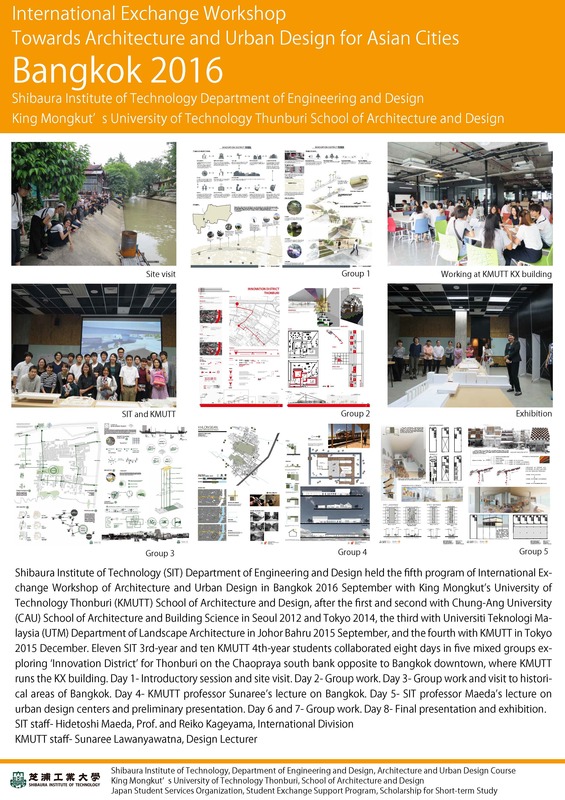 Shibaura Institute of Technology started the urban design school 2013 autumn as a project of Universities as the Center of Communities (COC) approved by Minister of Education. The School kicked off the first year 2013 at Shibaura-kaigan District, Minato City, Tokyo. The district is transition between the business center and industrial port of the capital, mixed with traditional quarters and modern redevelopments within canal network. 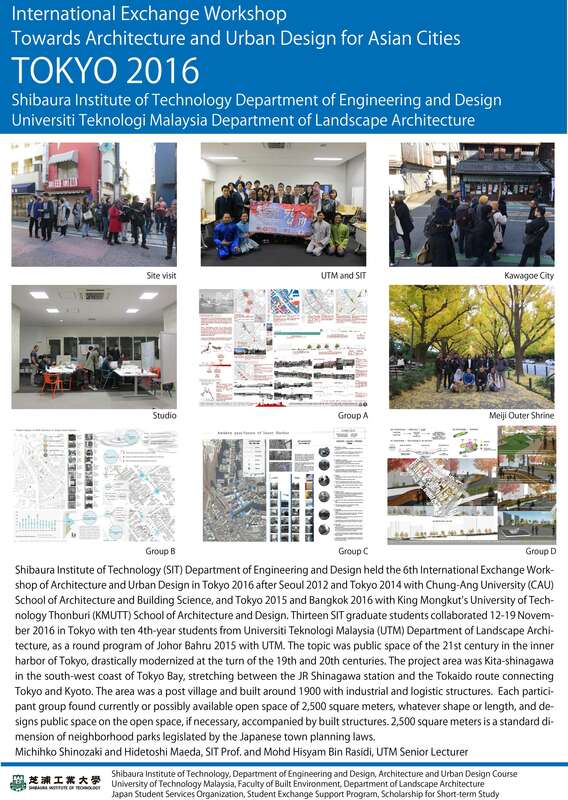 The urban design school in 2016 added collaboration with Saitama City and has joined Urawa-misono project building a new town adjacent to Saitama Stadium and Railway.